⚠️ Note - only Organization and Workspace Admins will be able to view and edit a workspace's settings. To become an admin, a current admin of the organization must add you. Learn more about user roles in your workspaces and organizations. 1. In the left sidebar, select the Workspace you want to configure. 3. Find your Workspace Settings in the left navigation pane. Change your workspace name and avatar. Grant, change, or revoke user access to your current workspace. 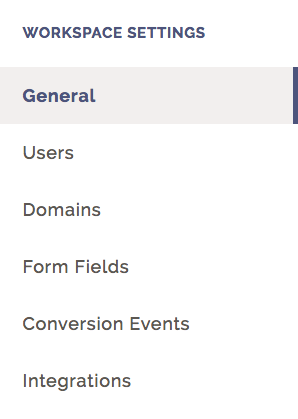 Add, remove, or see the status of the domain(s) linked to your current workspace. 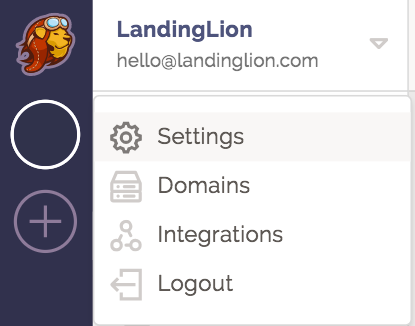 View your connected Integrations, or connect a new Integration for the current workspace.